I dedicate most of my spare time to book writing but also publish journalistic articles for the likes of De:Bug, i-D and the Wire as well as more academic pieces for journals for such as Cultural Studies, the Journal of Popular Music Studies and Liminalities. I've also written liner notes essays on acid house, the Gallery the Loft, Masters at Work, Walter Gibbons, etc. for BBE, Nuphonic, Soul Jazz, Strut and other labels. Here is a selection. Tim Lawrence, "Basquiat and Downtown", Barbican, September 2017. "The New York Groove: Life on the '80's Dance Floor", Tidal, 23 February 2017. "Daniele Baldelli Interviewed by Tim Lawrence", Electronic Beats, 10 October 2016. "Life and Death on the Pulse Dance Floor: Transglocal Politics and Erasure of the Latinx in the History of Queer Dance", Dancecult: Journal of Electronic Dance Music Culture, vol. 8, no. 1, 2016, pp. 1-25. "Perfectly Imperfect", Boiler Room, July 2016. 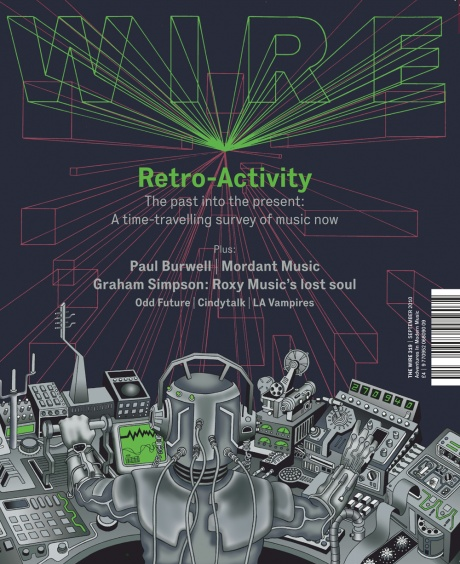 "Historian Tim Lawrence on Arthur Russel's Strange Revival", Electronic Beats, 3 November 2015. "How Loleatta Holloway Became Disco's Most Sampled Artist", Electronic Beats, 2 October 2015. "How Grace Jones Became a Disco Diva", Electronic Beats, 8 September 2015. "Interview: Mark Kamins on Danceteria and Early '80s New York". Daily Note, February 2014. For the full version of Tim Lawrence’s interview with Mark Kamins click here. "Disco". In Encyclopedia of Popular Music of the World, 2012. "Review of Hot Stuff: Disco and the Remaking of American Culture by Alice Echols". Journal of Popular Music Studies, 2011. “Big Business, Real Estate Determinism, and Dance Culture in New York, 1980-88”. Journal of Popular Music Studies, 2011. “Disco and the Queering of the Dance Floor”. Cultural Studies, 2011. “The Forging of a White Gay Aesthetic at the Saint, 1980-84”. Dancecult, 2011. "'Listen, and You Will Hear all the Houses That Walked There Before’: A History of Drag Balls, Houses and the Culture of Voguing”. Introduction to Voguing and the Gay Ballroom Scene of New York City, 1989-92, Soul Jazz, 2011. "24 --> 24 Music". Sleeping Bag Records/Traffic Entertainment Group, 2011. “Review: Wild Combination”. Journal of the Society of American Music, 2010. “Beyond the Hustle: Seventies Social Dancing, Discotheque Culture and the Emergence of the Contemporary Club Dancer”. In Ballroom, Boogie, Shimmy Sham, Shake: A Social and Popular Dance Reader, 2009. “Acid and Experimental Chicago House”. Soul Jazz, 2009. “Who’s Not Who In the Downtown Crowd or Don’t Forget About Me”. Yeti, 2008. “Disco Madness: Walter Gibbons and the Legacy of Turntablism and Remixology”. Journal of Popular Music Studies, 2008. "Connecting with the Cosmic: Arthur Russell, Rhizomatic Musicianship, and the Downtown Music Scene, 1973-92". Liminalities, October 2007. “Roger S: Choice”. Azuli Records, 2007. “Disco: Liberation of the Body”. Liberazione, June 2006. “In Defence of Disco (Again)”. New Formations, 2006. “Discotheque: Haçienda”. Gut / Active Records, 2006. "Kenny Dope: Choice". Azuli Records, 2006, 2006. "'I Want to See All My Friends At Once': Arthur Russell and the Queering of Gay Disco". Journal of Popular Music Studies, 2006. “Louie Vega presents Dance Ritual”. R2 Records, 2005. “Mixed with Love: The Walter Gibbons Salsoul Anthology”. Suss’d Records 2004. “Nicky Siano’s Gallery Classics”. Soul Jazz Records, 2004. “My Salsoul: Marshall Jefferson and the Roots of House”. Suss’d Records, 2004. “BBE Records present: Masters at Work: The Tenth Anniversary Collection, Part One (1990-1995)". BBE Records, 2000. “BBE Records present: Masters at Work: The Tenth Anniversary Collection, Part Two (1996-2000)”. BBE Records, 2000. “AIDS, the Problem of Representation, and Plurality in Derek Jarman’s Blue". Social Text, Fall/Winter 1997. “Edward Said, Late Style and the Aesthetic of Exile”. Third Text, Spring 1997.